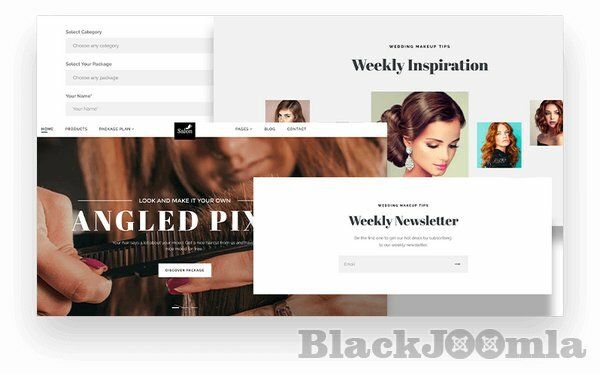 Salon is JoomShaperâ€™s August 2018 Joomla template. It is a perfect choice for any beauty care website. Weâ€™ve crafted dedicated solution for beauty salon, beauty parlour, hair salon, nail salon, barber lounge websites, and all other relevant businesses. 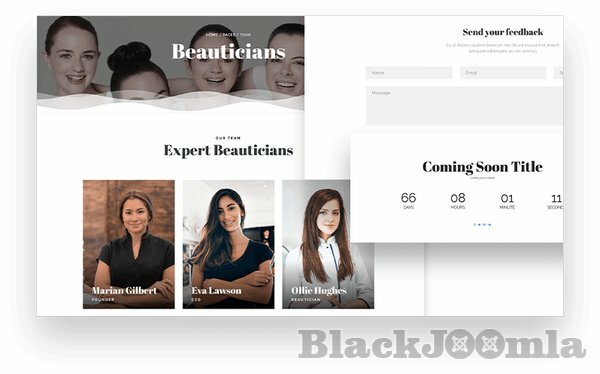 Itâ€™s fully ready to promote talented hair stylists, makeup artists, beauticians, and beauty business persons. For appointment management you can use the built-in Form addon. The template offers a high-quality master homepage. As always, with a touch of creativity, you can also apply Salon to other types of sites. It is quick to setup, flexible, easy to customize and personalize. You can effortlessly change basic things like texts, images, icons, layouts, colors, and fonts to enhance your siteâ€™s visual appeal. 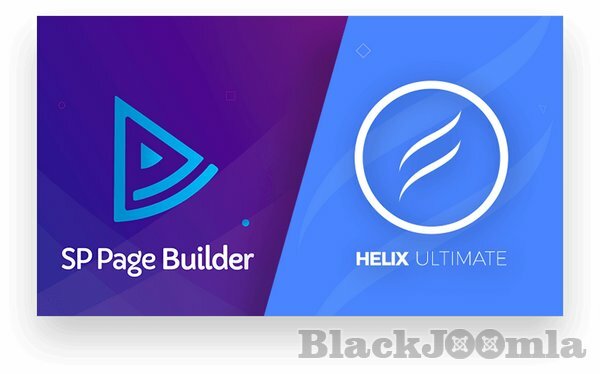 The template QuickStart pack comes with SP Page Builder Pro latest version, so you can construct your own webpages using the page builderâ€™s front-end drag-and-drop live editing system. Salon is developed on JoomShaperâ€™s Helix Ultimate template framework. It utilizes the latest Bootstrap 4 library, fully-responsive (mobile friendly), with additional features to control responsiveness and major browser compatibility. Are on a quest of beautifying the people who aspire it? Well, JoomShaper brings you a complete solution for your endeavor with the superbly designed Joomla template â€œSalonâ€. You will get to enjoy a well researched, unique layout serving with beautiful design and rich features. It makes sure you jumpstart with an absolutely perfect web presence of your beauty, hair salon, spa, therapy, wellness center and all other relevant businesses. Along with these above features, the best Joomla page building tool, SP Page Builder Pro ($49 value) comes free in this Salon template package. Letâ€™s eyeball at the detailed features below. Looking for more visitors on your site for higher conversions? Publish notice & announcements, beauty tips, package reviews and offers in salonâ€™s dedicated blog.